Cranes are the perfect type of vehicles when it comes to lifting heavy weights in weight or dry areas. 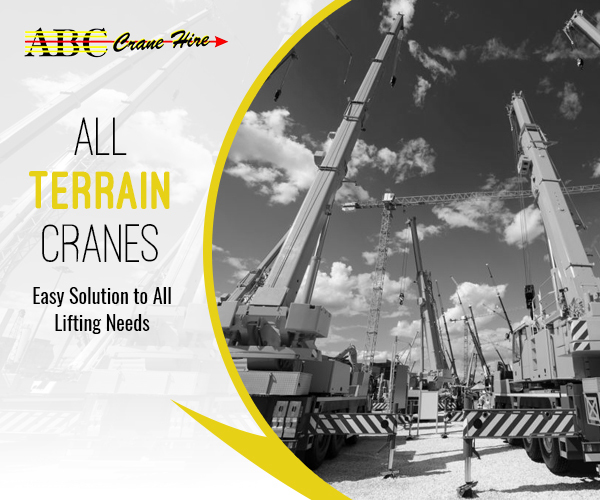 There are different types of cranes used for various purposes like mobile cranes which form the most common, telescopic crane, tower crane that is used to construct tall buildings , rough terrain cranes that are perfect for uneven land surfaces & all terrain cranes. The most interesting among them is the last one, all terrain cranes. As the name suggests, this type of crane is suitable for operating on different type of land surfaces, smooth or rough & moves in fast speed on highways & open roads. Carefully inspect the container to make sure that there are no holes before loading anything inside. First load the heavy items towards the front of the container & place the lighter loads on the top. Use boxes & cartons that are easy to carry. Put another layer of tape around the boxes to make it safe to carry. Use Cardboards & bubble wraps to protect the items from colliding against each other & they will also fill up any empty spaces. You can ‘floor load’ the container, that is, keeping the items close to the ground or create a ‘bulkhead’ which refers to filling the container from top to bottom & then building a wall to prevent falling in the open space. The manual extension of the crane, has to be set up for extra reach than the normal two extensions. With this setup, it becomes easier to lift the panels on the roof of the house, without any trouble. After the panels are placed on the roof, the manual extensions can be withdrawn to 2 sets of gates & again the manual extension can be extended if there are other fixings to be done on the roof. A careful planning is required that includes appropriate designs, pool fencing or paving. After getting the approval from the local councillor, begins the excavation process where the ground is dugged out & the area is marked. Post-hole digging, the necessary pre-plumbing instruments & lighting must be installed. Also a base of sand has to be made at the bottom to create a level base. Now comes the function of the crane. A crane is needed to lift the pool into the hole. Before using a crane, it is important to consider if a crane can enter your home premise or not, will the crane be hindered from operating by power lines or trees or not & choosing the right type of crane, ideally that is tall in terms of height & has large amounts of weight capacity. Conclusion- All terrain cranes are mostly used for the above purposes & also for installing gas & oil pipelines, constructing wind turbines & other heavy haulage applications.